Four events in recent Spanish history – the Civil War (1936-1939, the Political Reform Law (November 1976), the Constitutional Referendum (December 1978) and “23F” (the attempted coup d’état of 23 February 1981 – were selected to analyse their presence on the YouTube platform in June 2016. The analysis was restricted to the first 20 results yielded by each one of the four thematic searches. The percentages amount to 100 when added to their theoretical opposite. In other words, the fact that the videos that are based on a famous person are 15.6% means that those which do not meet this condition/criterion/feature* comprise the remaining part of 100; not that they are completed with those that are based on biographies (2.4%) and those focused on events (57.8%). The first aspect to consider is the format in which the documents are presented. There is a high prevalence of realistic genres: some three thirds (63.8%) of the sample comprise documentaries (44.6%) or specifically news-based television productions (19.2%), either contemporary with the events or subsequent to them. There is very little at the other end: fictional documents account for 2.4%, and talk shows or debates 1.2%. This shows that most users looking for historical subjects on YouTube search for realism; they seek information. In other words, users search for what is usually considered as “real”, “true”. Fictional narratives (those that are not clearly realistic) generate little interest when searching for a historical topic. Most the products within the realistic genre not only have a standard format; they are also general-knowledge pieces that are easy to digest. YouTube contains many products originally produced for broadcast on TV, including clips from documentaries, and even news stories from news-based programmes. The website also hosts simple audio-visual materials (similar to a video-recorded class) that feature a teacher using explanatory posters and/or visuals to explain the basic ideas. The preference for realistic documents implies that little material is produced expressly for YouTube. There is an abundance of recycled audio-visual material already broadcast, mostly on TV. Clips from documentaries make up the vast majority of material. In most cases (72.2%) the products include a narrator giving background information about the footage (45.7%). They are partly filmed on location (57.8%), have computer graphics or explanatory maps (30.1%) and incorporate archive footage (61.4%). These videos differ little to news-based TV programmes and documentaries, since this is precisely what they are: recycled TV news-based programmes or documentaries, or a combination of footage from the two. Original independent production is not significant. Thus, 20.4% of these videos account for institutional productions, while specifically cultural output accounts for only 10.8. Productions in the other organisations category (political, social or cultural associations) barely make up 21.6%. Only 2.4% of the historical products on YouTube are of a biographical nature (and the few that do address the role of individual players comprise only 15.6%. Most videos focus on historical periods and events (57.8%). It is worth noting that almost a third of the videos studied (32.5%) relate the historical event to the present, and most of them (30.1%) present this association as decisive. In short, the videos are old, recycled news products – often clips from TV programmes that have already been amortized – centred on events and processes. They are presented as interesting for their relevance to certain aspects of current-day society. Perhaps we could liken them how archaeological remains of mystifying ancient civilizations were arranged in the exhibition halls of the great museums such as the Louvre or the British Museum. Out of a total of 80 videos, the 12 most viewed products account for 74.7% of the total number of views. This points to the importance of being among the first products brought up in searches. The trend towards an ever decreasing number of documents that are frequently brought up in generic searches for information without any specific interest is underscored by Google’s particular classification system, which also is applied to YouTube. Furthermore, of the 12 most viewed videos, five (nearly half of the sample) are not even 10 minutes long, and three last less 5 minutes. It is significant that three of the videos of less than 10 minutes in length are about the Spanish Civil War, a subject that is in principle difficult to present in such a short time. We highlight this aspect in order to point out that the characteristics of the medium are important enough to determine the way content is presented: here simplification is essential. As we will see below, this aspect needs to be adjusted, but its importance should be noted. The document with the most views is a three-minute piece on 23F, the attempted coup of 23 February 1981 (Table 2). It contains the well-known images from TVE that capture the moment the Civil Guardsmen burst into the Congress of Deputies during the vote to elect a new president of the Spanish government. The third most viewed document, also on the same subject, lasts less than 2 minutes. This is understandable because the footage of the assault on the Congress has been indelibly etched on Spanish collective mind, which explains why YouTube brings up these documents. The searches on the website – or, more precisely, the results it brings up in the first place – imply that certain subjects (23F, the Spanish Constitutional Referendum and the Political Reform Law) do not call for a special explanation, at least not a very extensive one. Perhaps there is no debate on the meaning, origin and consequences of these processes because they tend to be presented more as an “event” than a “process”. Hence, only audio-visual documentation of the event is required, not its rational explanation. This may be reminiscent of the first illusion of the historical audio-visual account, which presents the indisputable facts (“what happened”) instead of explaining them. Although the first and the third documents with the most views are about 23F, the subject of the Spanish Civil War dominates the selection of the 12 most viewed videos. Of the 77 searches undertaken, 51.6% correspond to the Spanish Civil War. As is often the case with YouTube, if we consider the 12 most viewed documents, the percentage corresponding to the views on the civil conflict increases to 59.3%. The fact that the more times a video is viewed, the more comment it generates helps to identify interest in the subject and the audio-visual piece itself. Comments on the Spanish Civil War make up 71.5% of the feedback on the twelve most viewed videos. The highly contentious nature of the comments suggests an acute permanence and timelessness with which Spaniards view the war; at least with users who search YouTube for information on the subject. There is no relationship between the duration of a document and the amount of comments (and dispute) it generates. The video that receives the most comments (813) lasts 51 minutes; the second, generating 759 comments, is less than two minutes in length. The feedback appears to be the result of clashes by individual and loosely structured groups who enjoy verbally offensive conflict, and their comments lack any academic or intellectual level. The vast majority of the comments posted disqualify their opponent and suggest a desire enter into conflict over a view the user does not share. It is a way of continuing the war in the opinions on the war, even though YouTube moderators delete the most offensive comments. One of the forum participants partially sums this up thus: “bloody war, I don’t know how people from the same nation can kill each other. But judging by the way people fight in the comments section on this video, I’m not surprised”. The most unusual aspect of the product is that it contains some footage from a pro-Franco documentary screened in the United States during the Spanish Civil War, which has been re-edited with a new montage of the images and a storyline supporting the Republican cause. In other words, it seeks to perpetuate the war by using the same strategies that the Nationalists did at that time: exploit footage of the enemy in order to construct a discourse (with a new montage and audio) against it. Therefore, the documents on recent Spanish history that are searched for on YouTube can be characterised thus: first, the website classification criteria would often be questioned by historians. The results of searches may be yield surprises. For example a search for “the Political Reform Law” brings up the footage of Arias Navarro announcing the death of Franco. Second, YouTube does not curate content of any sort either. It shows results according to the key words added by the users who upload the material and refines them with an algorithm that directs the searches. Last, the fact that there is no information on the source of the footage (except for the one provided by the “author”) poses an added difficulty. Of course, the source of some content is in no doubt because it is well known. Indeed, perhaps the website’s greatest asset is its wealth of well-known footage, which is extremely useful for students and teachers alike. The comments, which lack any academic or intellectual interest, are often rude, manifest a bias rooted in current-day politics and constitute another side to fanatical political debate. In fact, historical footage is often used to draw parallels with current events. In fact the comments in the forums on the different subjects are so similar that were they to be exchanged between the different subjects, they would not significantly affect the content they were posted about. The last question we ask in this section is: is this website worth recommending to students as a source of information adapted to specific cases, or is it useful as a simple and free repository? In keeping with the website’s general search trends, the first 9 results account for 87.5% of the first 19 search results on “the Spanish Civil War”. Most of the results correspond to documentaries, although there are six exceptions, which are insignificant in the number of views and comments they prompt. These we address at the end of this section. The most viewed documentaries are professional productions by documentary film producers (Granada Televisión, Istituto Luce, Premium Cine, Canal Historia, etc. 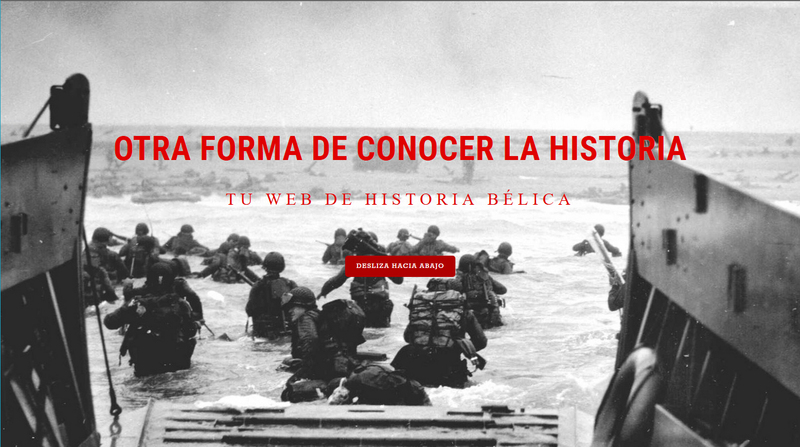 ), history information magazines (La Aventura de la Historia), or specific websites (www.batallasdeguerra.com). Other videos, as already mentioned, contain rehashed footage adapted to fit a narrative contrary to the documentary from which the material was taken. There are also products that feature edited archive footage that is narrated with “cards” – similar to the intertitles in silent films – because they are not voiced over, and maps (in the case of La guerra civil española, el resumen, at www.batallasdelaguerra.com). Typically, however, the documentaries are professional productions, sometimes, of a high standard. The result is normal. In part, this is expected given the solemn nature of the subject matter. To this day, the Spanish Civil War remains an extremely important in Spain (even though among the 19 most viewed videos there is one fictional production that verges on hilarity). If the search for information on the war shows an interest in it, the comments clearly indicate (even if they lack intellectual tone and are mostly offensive) that it is still very relevant to the Spanish public. The search for “reliable” documents points to the relevance and seriousness of the war. What’s more, the most viewed video has the added novelty of colour footage, perhaps to entice an audience that has already seen most of the audio-visual documentation on the conflict in black and white. In fact, any expectation of new footage will be dashed, since the images do not appear to be new. Perhaps the original footage was shot in colour and transferred to black and white in the documentaries and newsreels that made them famous. Perhaps this is just a “promotional” ploy to obtain a better ranking on the website. An examination of material on the specific subjects shows a clear correlation between videos that offer a general overview of the conflict and those that address a particular aspect of it. In fact, only one of videos that surpasses 100,000 views (216,000) focuses on a specific aspect of the war: Cómo empezó la guerra civil española [How the Spanish Civil War began], which we discuss below. The rest of the products in the group, on “specialised” aspects of the Spanish Civil War, deal with the incidents at Badajoz (26,990 views and 10 comments), the resistance of Alcázar de Toledo (removed due to a copyright infringement claim, with 7,189 views and 7 comments), or the arms used in the conflict (also removed, with just over 8,000 views and 7 comments). As we can see, this group has fewer views and their sum contributes little in general terms. Most of the videos, therefore, address the war as a whole, even if only one episode from a general series, or focus on the military campaigns of the war. Of the six exceptions mentioned above, the video with the most views (216,000 and 250 commentaries), titled Cómo empezó la Guerra Civil española [How the Spanish Civil War began] (practicopedia.com), is a simple product. Lasting little more than 4 minutes, it recounts the war with a clear and concise voiced-over narration, while a hand moves icons representing parties, ideologies and institutions back and forth. Most of the comments generated by this video – whether in agreement with the central argument or not –encourage its makers to continue the production of simple products that explain the conflict to ordinary people. Naturally, there is some of the usual condemnation, albeit to a lesser extent, although without shaping the general tone of the feedback. The comments on the aforementioned La Guerra Civil española, el resumen [The Spanish Civil War, the synopsis] also praise the attempt to address the topic clearly and dispassionately. What’s more, despite the inevitable ideological bickering and ensuing reciprocal defamatory remarks, the debate is largely polite. The third exception features the leader of the Podemos party, Pablo Iglesias – apparently in a radio broadcast, because he seen is wearing headphones, but it could also be a lecture – giving a short explanation of the Spanish Civil War based on the films made about it. The piece concludes with some brief statements from three leaders of the same party urging people to vote on May 25 and to join what at the time was a radical movement. This product clearly demonstrates the influence that the Spanish Civil War continues to have on every-day Spanish politics and how it is used in election campaigns; in this case, to encourage people to vote. It is particularly striking that the civil war is used by an anti-system party made up of young people who, like their parents, had no direct experience of the conflict. In other words, to achieve political renewal the Spanish left continues to feed on a reinterpretation of the conflict and thereby perpetuate it. It is also interesting to note that Iglesias’ talk does not focus on the war itself, but rather its interpretation and devaluation by both the institutional political left and filmmakers. The clip, lasting little more than five minutes, has been watched 29,800 times and generated 198 comments, which, as one might expect, either attack or praise the talk, with no academic interest. In short, the material available on YouTube shows that the Spanish Civil War continues to be the subject of a contention among Spaniards. This, in turn, sparks interest and rekindles the importance of the war. “The war” is a key issue for today’s Spaniards. The Historical Memory Law (December 2007) has certainly contributed to the intensification of the debate around the Spanish Civil War, which has never been intellectually resolved, although unresolved conflicts are nothing new, as can be seen in other countries such as the United States and its civil war, or France and collaborationism. The war’s ideological positions have likewise been deeply rooted in academia for decades. It is surprising, however, that these ideological positions can come to the fore in an election campaign and that they are mainly manifested through the habitual derogatory comments between the two opposing sides. It is remarkable that the age of the regular users of the website suggests that neither they nor their parents lived through the war. Moreover, the generational ideological changes have left children, parents and grandparents in different ideological camps: ideology is not inherited; it is chosen. The Political Reform Law was the first step towards the end of the Franco regime. It was the last of the fundamental laws of the old regime that would herald free elections. It was on this foundation that a parliament was formed which would lead to the passing of the 1978 constitution. Though the law was of key importance in the process known as the Transition to democracy, its importance is not reflected in the number of results of material about it on YouTube. In fact, there is little available subject matter on the passing of the law itself. The most viewed material is the announcement – via TVE – of the death of Franco and his historical political testimony, which has been viewed 241,000 times and contains 363 comments, most of them from young and old nostalgic supporters of the old regime. The second most viewed video has been watched 39.000 times, which is significantly less. Rather than specifically cover the Political Reform Law, the clip comes from a documentary on Spain’s first democratic elections, in which the Political Reform Law is mentioned in passing, as the event that paved the way for the elections. This material is mainly characterised for the numerous episodes (or clips) from documentaries on the Transition (five in total, two from Artehistoria and three from the award-winning TVE production La Transición by Victoria Prego). In short, this material contains isolated references within a broader and more comprehensive account of the Transition. This also occurs with other documents: a piece from the NODO announcing the adoption of the law, a clip from a speech by Adolfo Suárez explaining the steps that the first government of the democracy will take (a reference to the law that made this possible), a fragment of an interview with a politician of the time (talking along the same lines), etc. The second characteristic is that other circumstantial references occur in clips from new reports on the death of President Adolfo Suárez, who steered the law through the Francoist parliament. Again, the law is mentioned in passing as part of more wide-ranging account. The explanation is also very brief. The same happens with three more documents from various regional, national and international TV channels. Thirdly, the documents that address the law thematically, in both title and content, comprise three educational products. The one that is probably of the highest quality was made by a secondary and higher education teacher (Alfredo García) whose treatment of the subject matter is both clear and instructive. Made in March 2012, the video has obtained fewer than 10,000 views. The second was made by an online university (UDIMA), while the last one is by a group of students from the Complutense University. This aspect is worthy of note, as it clearly sets the limits of interest: it is interesting for students only because it is part of a study programme, which included making an audio-visual production to upload to YouTube. In no case it is considered a subject of a broader interest. Possibly, the fact that the topic features neither stirring nor thrilling footage contributes to this situation. The event is summed up with simple images: the façade of the parliament, shots of the procurators, the voices of three or four parliamentarians in order to give an idea of the differing positions, a shot of Suárez sitting on the government bench, a final applause, and the parliamentarians leaving the chamber. This austerity reflects the difficulty of the moment: the applause could not be turned into a “no” to Francoism and there was no room for outward displays of joy: the procurators had, as it was stated in the media, committed political suicide: the Francoists were closing the chapter on Francoism. The result is a simple audio-visual narrative, which even in the political arena demanded a new act: a public referendum, which took place weeks later. If the Political Reform Law brought about the demise of the Francoist period, its approval by the people in the constitutional referendum began a new one: the return to a constitutional regime of liberties. The referendum was included in this study because it is a milestone in the construction of modern-day Spain. It is an entirely different matter that searches for this topic bring up strictly historical documents. The first large group of documents that make up the vast majority of views explain the Spanish Constitution of 1978 to applicants aspiring to join the Spanish civil service (all candidate selection examinations – regardless of service and/or activity – contain questions on this fundamental law). In fact, out of the 292,835 total views, 65.7% fall within this group, which contains all manner of documents. Most of them are simple recorded lessons (some with students and others show only a teacher), although some are even more basic, consisting of power point presentations, or simply texts read by a narrator off screen. In short, they are documents of a largely instructional purpose. The comments are usually limited to doubts, or teachers correcting a student’s mistakes on dates or information. Only in a few cases do we find references to the fact that the King cannot be tried, which is considered a sign of inequality. Another group of documents (approximately 1.000 views), also instructional material, is aimed at young schoolchildren. This material is not very creative, featuring some schemes and short phrases that are perhaps too technical for an audience of between 4 and 7 years. These videos are usually made by schoolteachers, and those with a more professional sheen are usually low-budget productions. The last group of documentation is made up of documentaries and news stories that fall into two blocks. The first consists of news reports/programmes, either commemorative productions made by television networks (such as Canal Sur’s “Los reporteros”, marking the 30th anniversary of the constitution), or they were made at the time the events took place (1978). They constitute a highly repetitive model: elections to choose the members of parliament, who would draft the constitution; statements by political leaders, the vote, a meeting of those elected and the formation of the committee, elections for the commission that that would draft the project, the vote, the referendum and the official signing ceremony by the King. Some pieces also touch on aspects referring to terrorism, the Toledo pacts, or the conformation process of the Generalitat de Catalunya and its statute of autonomy. Some of the oldest pieces that have been uploaded and watched as sources are news reports, although they look like historical material. These come from the NODO and TVE and were broadcast at the time to announce the event. In spite of the wealth of well-known audio-visual material and the documentary series on the Transition (as a whole or as specific episodes of others series that are chronologically more extensive) there is only one documentary among the most viewed documents which is quite simple and very similar to the products already mentioned. The conclusion of this first analysis of YouTube results on the term “Spanish Constitution of 1978” suggests that it has been left out of history. It is featured as something current and ongoing, an event that has yet to be analysed. The majority of references are centred on its study as a current event, but there are few references to the historical process that brought it about. It is covered in commemorative products and in the documentary, but very generically. The archive footage from the newscasts of the time does not shake off the aura of timelessness, despite its being paradoxically “old”. The first and third searches that bring up the most results on the subjects under study correspond to the attempted coup d’etat of 23 February 1981 (23F). The attempted coup is best defined by the footage showing a colonel of the civil wielding a pistol bursting into the Congress of Deputies; the suspension of the session by force and the reduction, also by force, of both the minister of defence (an officer of the highest rank) and the president of the government; and the announcement of the arrival of a military officer who would explain the situation. In fact, the officer in question never arrived and political order had been re-established by the next morning. No-one was killed or wounded. All of this was broadcast live across the country via the cameras of TVE, which were covering the session. Never had Spanish television caught so much history live on camera. This explains the numerous of views for this footage. This simple narrative of images suggests, in action and intrigue terms, far higher levels of interest than those of the other subjects (except, of course, the Spanish Civil War). Add to this the air of suspense of the conspiracy theories surrounding the event (there is a relatively important bibliography that “exposes” the “truth” behind the attempted coup). Thus, it comes as no surprise that more than a few comments in the forums address the various theories (most of them mere allusions in five or six lines, at most) and there are fewer disparaging and defamatory comments (although they are not entirely absent). In any case, the dramatic tone (exposition, climax, denouement) of the account facilitates the definition of the protagonists: Tejero (protagonist or antagonist according to one’s political stance), Suárez and Gutiérrez Mellado (minister of defence who physically confronts the Civil Guardsmen and whom Tejero unsuccessfully tries to wrestle to the ground (an act that any film director would present as an anticipation of the final defeat of the attempted coup) as brave and worthy secondary players, and – of course – the king and his final decisive intervention. Solid characters, a well-defined plot… that years later TVE took advantage of in its mini-series on the event, in almost identical terms, adding to it the definitive “baddie”, dramatically burdened with the role of “traitor” to the King (and to Spain, of course), leaving everyone else beyond suspicion. The most viewed pieces are realistic in tone: clips from newscasts from various commemorations and some documentaries. The most viewed documentaries (Golpe de estado en España. Madrid 1981 (23F) [The coup d’etat in Spain. Madrid 1981 (23F] by Jesús Palacio for Canal Historia) and Golpe de estado en España de 1981 [The coup d’etat in Spain of 1981] (MICAAL-TV) last 51 minutes and one hour respectively. In addition, both serve as examples of two approaches. Both present the event as a mystery to be solved. They are not strictly historical, but historical intrigue, which is common of today’s productions about the past, because there seems to be more interest in what is overlooked, in suspicions more or less grounded on peripheral aspects, than on the dissemination of what is effectively clear (usually the fundamental and key points). The first documentary, broadcast on the 25th anniversary of the event, opens with the familiar: “we don’t really know everything that happened”. This is obvious: there is no event of which we really know everything (thank goodness!). This allows us to reflect on the already familiar footage and key moments of the events, as well as the interviews with “experts” (journalists who have written sensationalist books on the event and lawyers of the incriminated parties) that address marginal issues as if they were key to something that has yet to be disclosed. In fact, the documentary concludes: “The truth is difficult to identify”. The second part of an exposé cites kilometres of recorded tapes (which we later find out are audio tapes and not images) that were gathered, stored and then made to disappear in 1983 (during the socialist government’s mandate, naturally). Notwithstanding, the documentary filmmakers managed to gain access to some of the recordings containing conversations between one of the lawyers defending the coup’s instigators (Juan García Carrés) and Coronel Tejero during the occupation of the Congress. The tapes suggest that either Carrés was poorly informed from the outside, or was simply fooling Tejero by boosting his morale in order to ensure he maintained his position. In truth, it was much ado about nothing. These two productions are the most viewed documentaries, with some 183,000 and 72,000 views respectively). But the most viewed documents are not documentaries; they are two informational pieces made not long after the event. The first notches up more views (613,000) than all the others on the same theme combined. In just over 2 minutes and 40 seconds, an off-screen voice (the one from the original broadcast on the event made by Cadena SER radio) is heard over the TVE footage that narrates the events. The second most viewed document (more than 352.000 times) is also informative and commemorative, which –in addition – is included in a series covering TVE’s key moments over its first 50 years: a commemoration about a commemoration. In one minute and four seconds the images and text review the essential elements: the disruption, the king’s intervention and the surrender. One way of underscoring the protagonism of the media (not least TVE). Another group of documents viewed also recount the event. The most interesting and most viewed in this group (72,000 views) is a production titled Qué saben los adolescentes del golpe de estado del 23 f. [What do adolescents know about coup d’etat of 23 F]. Broadcast on 23 February 2016 – 35 years after the event – it was made by the producers of the satirical news programme El intermedio. The production interviews teenagers on the street about their knowledge of the event, only to discover that most of them know little about it. In fact, they not only lacked knowledge of 23F but also most of recent and not-so-recent Spanish history. The comments focus more on low level of Spanish students’ education than on the actual event itself, making it less relevant in this case. To sum up: there is more distance in people’s political and ideological implication in the topics of recent history (the Political Reform Law, the Spanish Constitutional Referendum and 23 F, with some nuances in this last case) than in the Spanish Civil War. The comments in forums on the war abound with bellicose confrontation (at a dialectical level, naturally), radical stances and irrational attitudes (in the sense of little or no ability to reason). It is not a question of ideological inheritance: this traceability was lost in three generations. Rather, they are still at war. Some because although they feel they won it, they now see that the “enemy” is prevailing. And those who see themselves as descendants of the losing side want to win a definitive victory. The end of the consensus value on which the transition was built has probably led those who question the current system to seek (and to find) in the war a symbol to clutch at to provide a justification for ideological differences.